George Moncur insists Barnsley must start picking up results if they are to keep relegation at bay. The Reds are precariously placed in 21st place - only outside the bottom three on goal difference after their latest defeat to Millwall. 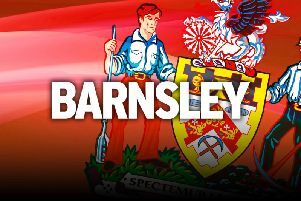 Barnsley are in a worrying slump and have won just twice in their last 24 games. “I can understand why the fans are not happy. “Our home form hasn’t been the best but we’ve got enough quality in the dressing room to stay in this league. “Hopefully we can get the wins in the weeks to come to stay up. “We’ve just got to worry about ourselves and not let any other results get in our heads. “We’ve got to win for ourselves and if we get wins on the board then other results won’t matter. Meanwhile, young goalkeeper Jake Greatorex has signed his first professional contract at the club. The 18-year-old has impressed in the under-18s and under-23s this season and has secured a deal at Oakwell until June 2019. Academy manger Bobby Hassell said: “He’s had a really good season. Former boss Paul Heckingbottom is planning to raid Oakwell in the summer. Heckingbottom jumped ship for Yorkshire rivals Leeds United in January, after signing an improved contract at the Reds. And he wants to deal his boyhood club another blow by nabbing captain Andy Yiadom for free at the end of the season. Heckingbottom made the Ghanaian international into a proven Championship commodity after bringing him in from Barnet in 2016. Yiadom has rejected a contract extension at the club and Heckingbottom is keen on a reunion at Elland Road. The Leeds boss is also interested on taking Oli McBurnie across Yorkshire. McBurnie has starred during his loan spell, scoring six in nine, and it was Heckingbottom who brought him to the club in the first place. His contract at Swansea City will have a year left to run when his deal at Barnsley comes to an end.